Pinot Noir - This earthy complex wine mimics the ground that produces it. 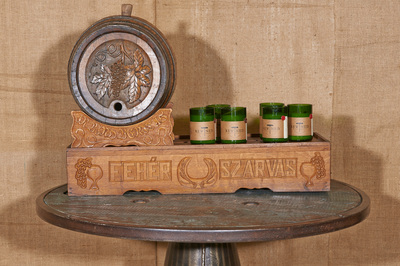 Fresh fig and cranberry, rooted by the rustic aromas of leather and violet, finishing with hints of musky earth tones. Champagne - This festive varietal evokes feelings of joy and celebration. Look for sweet notes of white grape, honey, fresh baked bread and light citrus. 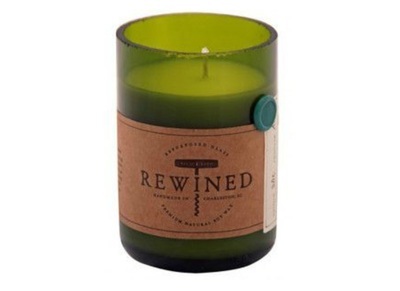 Merlot - Pick up the scent of ripe pomegranate and plum followed by a cool vanilla finish. Cabernet - While sampling this deep red varietal, look for aromas of black cherry and currant. Let the background notes of smoke and toast round out this bold red. Chardonnay - This rich white varietal offers warm notes of vanilla, butter and burnt toast. Look for deep hazelnut and cedar wood undertones. Pinot Grigio - In this smooth, clean white varietal, look for the smooth aroma of sandalwood and crisp minerality held together by a strong citrus backbone. 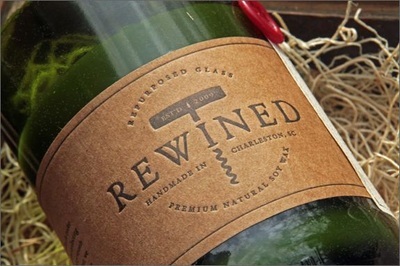 Reisling - A sweet , lush varietal offering the scent of Asian pear, juicy tropical fruits and ripe citrus. Look for subtle notes of honey and a light floral essence. 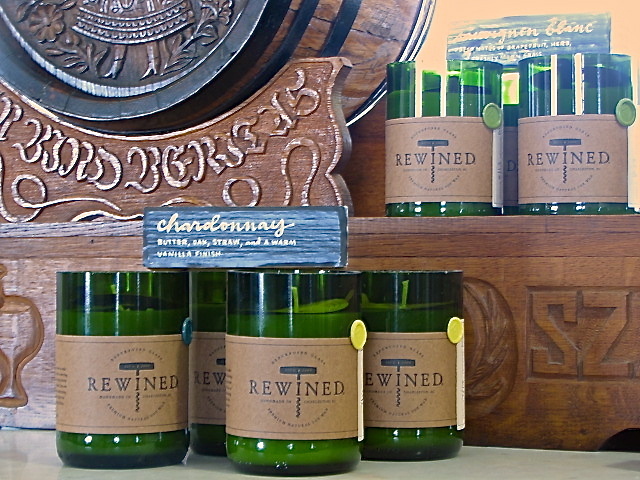 REWINED wine scented candles evoke your favorite vintage with their wine inspired aroma and appearance. 100% fragrance infused soy wax is hand poured into recycled wine bottles. The wicks are 100% cotton and burn 60-80 hours without producing black smoke. Available in eight standard scents. Seasonal scents vary. net weight - 11 oz.